Sweet potatoes are packed with beta-carotene and contain 150% more antioxidants (great for reducing the risks of cancer) than blueberries. They are also high in heart-healthy vitamin A. If that isn’t enough for you, they’re also high in vitamin C, which is great for boosting your immune system, and will help ward off colds and the flu. Use: You can boil them, mash them, or put them in a stew. Also, you can microwave or steam them with a small amount of water to retain the maximum amount of nutrients… and flavour. Never mind all that egg-white only nonsense. Yolks contain most of an egg’s nutritional value. Eggs contain a wealth of minerals such as calcium and magnesium. They are a great source of vitamins A, D, E, B6, B12 … and the list goes on. Some experts suggest that a few eggs a day could provide more health benefits than a multivitamin tablet. They have 100% of the carotenoids that are vital for good eye health (which is great if you don’t like carrots). If you have growing kids, it’s worth remembering that eggs are also very rich in protein. People sometimes avoid eggs because they’re high in cholesterol. But in moderation their benefits are too many to miss out on. Use: We know this, don’t we? Boiled, poached, or scrambled eggs are delicious. One of our favourite breakfast foods, eggs can be delicious at any time of the day. Omelettes are easy to put together and you can add almost any ingredient and end up with an amazing taste experience. Just about the only ingredient I haven’t tried so far is chocolate. If you make a chocolate omelette, leave a comment below and let me know how you got on. If you want to lose weight, I have great news. Not only do black soybeans contain more proteins and antioxidants than other types of soybean, they also have very little in the way of carbs. It also takes ages to digest them so you’ll feel full for longer after eating them. Result. Use: Try having half a cup of black soybeans half an hour before eating your main meals to help curb your appetite. Don’t cook them for as long as you would expect, they are sweeter and have a thinner skin so cook a little quicker. Turmeric has been recognised as a superfood for centuries. It has antioxidant, antiseptic and anti-inflammatory properties. Turmeric is the spice that gives curry its distinctive taste. It is also a valuable part of the ancient Indian medicinal practice know as Ayurveda. Turmeric’s efficacy is due to the presence of curcumin, which gives turmeric its deep golden color. Some studies suggest that curcumin protects against cancer and Alzheimer’s. It can also improve circulation, prevent blood clotting and is reputed to be good for a variety of different pains. Use: Add powdered turmeric to your curries, or sprinkle it into rice as it boils to create beautiful golden rice with an exotic fragrance. Much cheaper than saffron. You can also just sprinkle it on salads, vegetables or meat. Fantastic news: cocoa is a superfood. And cocoa means chocolate! Cocoa doesn’t just contain smiles, it contains compounds that boost endorphins and serotonin. These are also known as the chemicals responsible for making us feel happy. Cocoa is also packed with flavonoids, chemicals that occur naturally in plants that help fight a spectrum of conditions such as diabetes, strokes and heart disease. Cocoa also has flavonols, which helps relax blood vessels and thin the blood, thus lowering your blood-pressure naturally. To get the benefits of flavonoids, choose dark chocolate which contains at least 70% cocoa. Buy bars that are labelled pure, dark, or unprocessed. Use: I wouldn’t dare to tell you how to use chocolate. If you want to combine your superfoods, how about a little red wine with your chocolate? Red wine contains important phytonutrients such as flavonoids and resveratrol. These chemicals act as antioxidants. Antioxidants prevent the build-up of molecules known as “free radicals” which are known to cause cellular damage in the body. The dark skin and seeds of grapes is rich in polyphenol antioxidants. Research shows that resveratrol can help prevent the production of blood clots; other studies have indicated that it may positively impact on length of lifespan, and inhibit lymph, liver, prostate, stomach and breast cancers. Use: A word of caution though: one glass of red wine a day is sufficient. Also, saving them up until the end of the week and having seven is not the same as having one a day. If you don’t drink alcohol, you could opt for grape juice instead. You can have as many of those as you like. 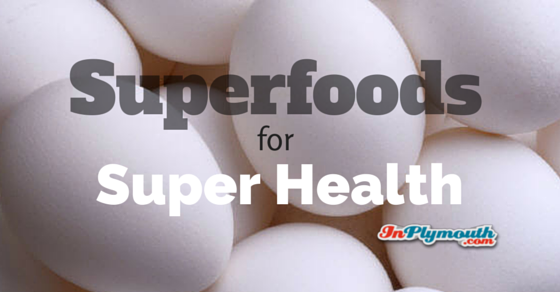 Superfoods are a delicious way to add extra health preserving benefits into your life. Worried about your blood pressure? Need to lose some weight? Feeling tired and jaded? Add some superfoods into your regular diet. Don’t forget that you need to take a little exercise too though, eh?